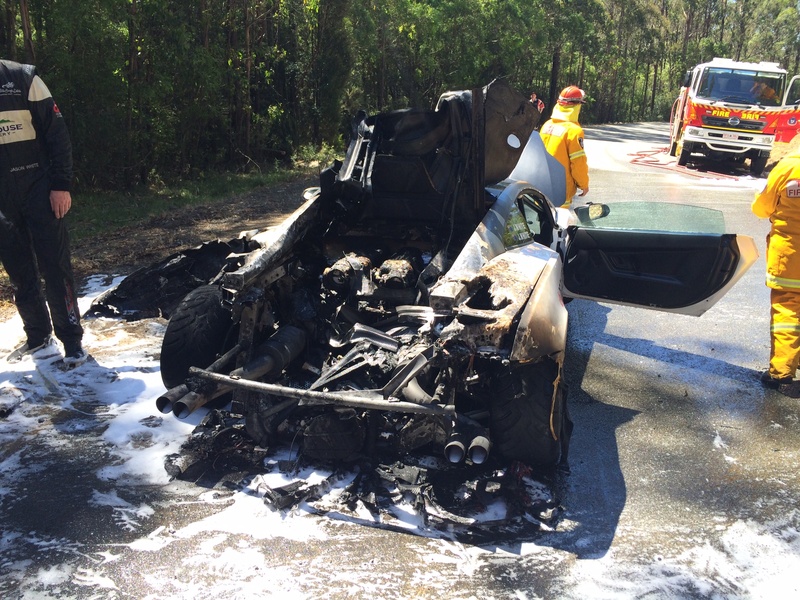 The Lamborghini of Jason and John White has been severely damaged in a fire at the end of TS4, Airwalk. 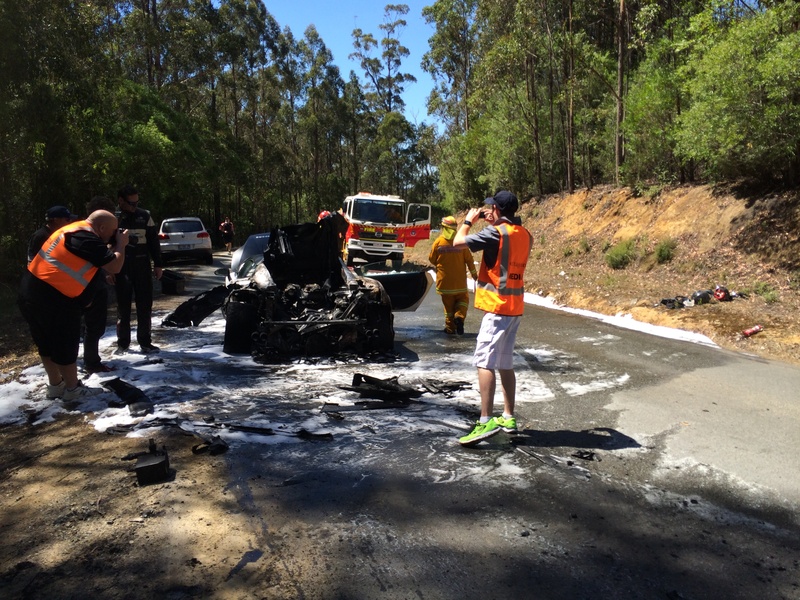 Fortunately, both Jason and John are okay, although this car may have seen its last Targa. This entry was posted in Targa Live on 01/02/2014 at 1:05pm by TARGA LIVE.